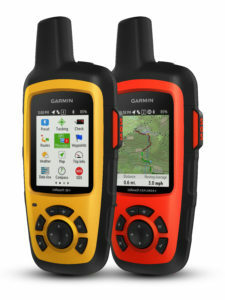 Curious what’s new with the Garmin inReach SE+ and inReach Explorer+ ? At first glance it may appear that we didn’t change much with our first reiteration of the inReach satellite communicators, but the devices still hold true to their notorious name. Below is a comprehensive review of what the all-new Garmin inReach’s are capable of. inReach SE+ and Explorer+ give you all the tools to stay totally connected. You don’t have to worry about being within range of a cell tower – or encountering spotty coverage in fringe zones or blackout areas. Your inReach communicator works anywhere and everywhere – so you’re never out of range, never out of reach. In case of an at-risk situation, you can also use inReach to trigger an SOS to the 24/7 monitoring center, text back and forth about the nature of your emergency, and receive confirmation when help is on the way. Tracking waypoints and utilizing Delorme TOPO maps is where these devices truly separate themselves from the previous models. The inReach SE+ now allows waypoint tracking while on your adventures, while the inReach Explorer+ gives user the abilty to access Delorme TOPO maps without having to carry a smartphone. Creating a true handeld GPS that can also save your life and be used for it’s navigation features. Gone are the days of having to have your hands full with numerous devices. We hope this has answered some of your questions and has inspired you to get outdoors and find adventure with inReach. 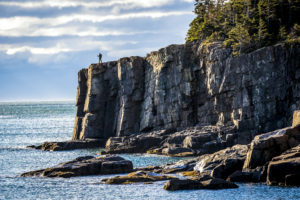 These handheld satellite communicators are designed for the outdoor enthusiast who wants to roam farther and experience more – without compromising their loved ones‘ peace of mind. Join the adventure and share your stories with us on Facebook, Twitter, Instagram using #HaveNoLimits or #inReachLife.